LIMA, Nov 17 2015 (IPS) - Lawmakers in the Parliamentary Front Against Hunger in Latin America and the Caribbean decided at a regional meeting to work as a bloc for the passage of laws on food security – an area in which countries in the region have show uneven progress. 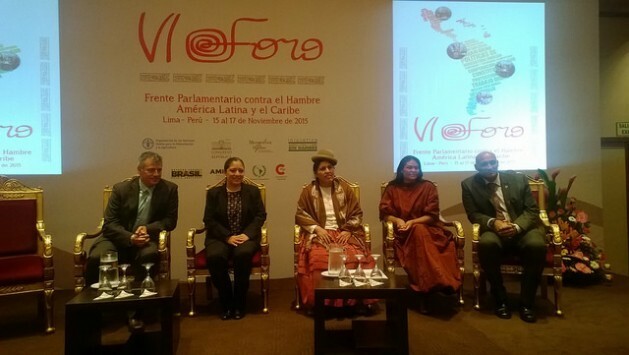 The Nov. 15-17 Sixth Forum of the Parliamentary Front Against Hunger (PFH) in Lima, Peru drew more than 60 legislators from 17 countries in the region and guest delegations from parliaments in Africa, Asia and Europe. The coordinator of the regional Front, Ecuadorean legislator María Augusta Calle, told IPS that the challenge is to “harmonise” the region’s laws to combat poverty and hunger in the world’s most unequal region. Calle added that a number of laws on food security and sovereignty have been passed in Latin America, and the challenge now is to standardise the legislation in all of the countries participating in the PFH to strengthen policies that bolster family farming. In Latin America, 81 percent of domestically consumed food products come from small farmers, who guarantee food security in the region, according to the United Nations Food and Agriculture Organisation (FAO), which has advised the PFH since its creation in 2009. Twelve of the 17 Latin American countries participating in the PFH already have food security and sovereignty laws, Calle said. But it has not been an easy task, she added, pointing out that several of the laws were approved only after long delays. The fight against hunger is an uphill task, and the forum’s host country is a clear illustration of this. In Peru, the draft law on food security was only approved by Congress on Nov. 12, after two years of debate. The legislature finally reacted, just three days before the Sixth Forum began in the country’s capital. But the bill still has to be signed into law and codified by the executive branch, in order to be put into effect. “How can it be possible for a government to put forth objections to a law on food security?” Peruvian Vice President Marisol Espinoza asked during the opening of the Sixth Forum. Espinoza, who left the governing Peruvian Nationalist Party in October, took the place of President Ollanta Humala, who had been invited to inaugurate the Sixth Forum. 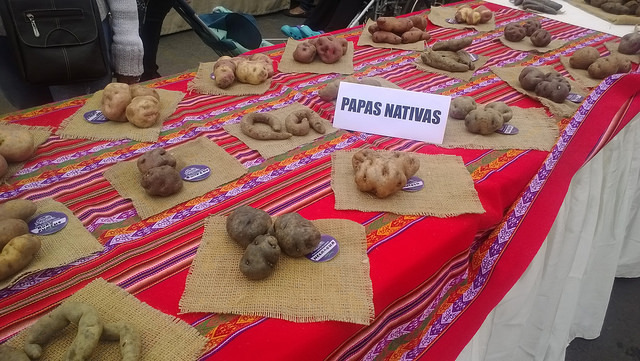 The coordinator of the Peruvian chapter of the PFH, Jaime Delgado, told IPS that he hopes the government will sign the new food security bill into law without setting forth observations. Indigenous leader Ruth Buendía, who took part in the Sixth Forum in representation of rural communities in Peru, said the government should pass laws to protect peasant farmers because they are paid very little for their crops, even though they supply the markets in the cities. Another controversial question in the case of Peru is the more than two-year delay in the codification and implementation of the law on healthy food for children and adolescents, passed in May 2013, which requires that companies that produce food targeting this age group accurately label the ingredients. Congressman Delgado said food companies are lobbying against the law, which cannot be put into effect until it is codified. “It would be pathetic if after so much sacrifice to get this law passed, the government failed to codify it because of the pressure from business interests,” said Delgado. He said that in Peru, over 200 million dollars are invested in advertising for junk food every year, according to a 2012 study by the Radio and Television Consultative Council. 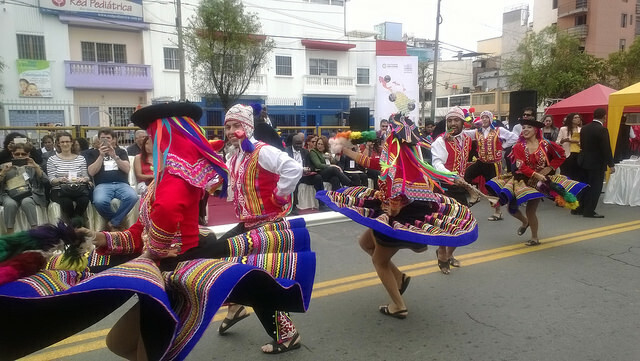 Calle, from Ecuador, said the members of the PFH decided to call for the entrance into effect of the Peruvian law, in the Sixth Forum’s final declaration. “The 17 countries (that belong to the PFH) are determined to see the law on healthy food codified in Peru. We believe it is indispensable. It is a wonderful law,” said the legislator. She explained that in her country food and beverage companies have been required to use labels showing the ingredients, despite the opposition from the business sector. “In Ecuador we have had a fabulous experience (regarding labels for junk food) which we would like businesses here in Peru to understand and not be afraid of,” Calle said. Another country that has made progress is Brazil, where laws in favour of the right to food include one that requires that at least 30 percent of the food that goes into school meals is purchased from local small farmers, Nazareno Fonseca, a member of the PFH regional consultative council, told IPS. Calle said Brazil’s efforts to boost food security, in the context of its “Zero Hunger” programme, marked a watershed in Latin America. The PFH regional coordinator noted that the person responsible for implementing the programme in the crucial first two years (2003-2004) as extraordinary food security minister was José Graziano da Silva, director general of FAO since 2011. The commitments in the Sixth Forum’s final declaration will focus on three main areas: food security, where the PFH is working on a single unified framework law; school feeding; and efforts to fight overnutrition, obesity and junk food. And the president of the Peruvian Congress, Luis Iberico, said people did not enjoy true citizenship if basic rights were not guaranteed and hunger and poverty still existed. The indigenous leader Buendía, for her part, asked the PFH legislators for a greater presence of the authorities in rural areas, in order for political declarations to produce tangible results.